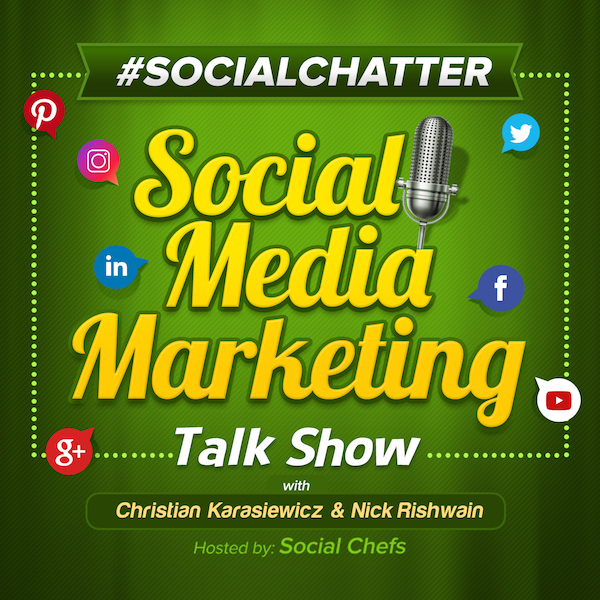 On this week's episode of Social Chatter, your weekly social media marketing talk show, we explore Instagram increasing verification, Facebook fake news trustworthiness scores, things in common on Facebook and more with Christian Karasiewicz, Mike Gingerich and guest, Lindsey Margolis. Let's see what's new in social media this week with your hosts, Christian Karasiewicz and Mike Gingerich. In Instagram news, they are testing IG shopping. Instagram is testing IG shopping, a standalone Instagram shopping app, to browse collections of goods from merchants that you follow on Instagram. Right now, very little is known. With the recent launch of IGTV as a standalone app, adding a shopping app to Instagram makes a lot of sense. As a business owner, if you've been building your Instagram channel for your business, having a dedicated app for your followers to shop from, will make it easier, considering the Instagram mobile app is already crowded. Overall, we're really excited for IG shopping and hope Instagram launches this separate app soon. To read more about IG shopping, click here. In Twitter news, they are testing reply threading and status indicators. Twitter is testing Facebook-like reply threads and status indicators. Here is what these look like. These two features, although not directly applicable to your business, can help you better follow conversations on Twitter and also help you see when someone might be online, so that you can help ensure your tweets are seen. At the moment, these are features that are being tested. We hope they are launched soon. To read more about Twitter testing Facebook-like reply threading and status indicators, click here. In Facebook news, they are rolling out Facebook Watch globally . Facebook is rolling out Facebook Watch to everyone. What this means is that people around the world can now see and watch your videos from anywhere. They're also available on iOS and Android from the "Watch" icon in your shortcut bar, as well as on your Apple TV, Amazon Fire TV, Oculus and more. According to Facebook, here is what Facebook Watch offers - a place to discover new videos, catch-up with creators and publishers that you like, save your Facebook videos, and lastly, participate when watching a video on Facebook. As a business owner, if you've been publishing videos and using Facebook Live, but have the same audience, by making Facebook Watch global, you should start to see an uptick in viewers, provided you have good, quality content for them to watch and talk about. You can read more about Facebook Watch going global here. In Skype news, they are adding call recording to their platform. Skype is adding the ability to start recording calling. To start recording a call in Skype, simply start a call with someone. During you call, click on the plus sign and select "start recording." Whoever you're on the call with will see a banner that shows you are recording the call. When you finish using the Skype call recording feature, your call with be recorded and stored online as an MP4 file for 30 days. One notable feature that is missing at the moment is the ability to save just the audio. Right now, that isn't an option. You can then choose to save it locally or share the link to it. We've used a host of Skype call recording software over the years and are glad that Skype is finally adding this tool to their platform. As a business owner, you may want to use this tool to record and download your calls. You can then use the tool, Otter Voice Notes, which we discussed on Social Chatter last week, to create a searchable transcript from your call. To read more about Skype call recording, click here. In Snapchat news, they are rolling out the Nico and Veronical Snapchat Spectacles. We've been a supporter of Snapchat Spectacles since version 1. At the time, they were clunky and not waterproof. A few versions later, and Snapchat is rolling out two more versions, the Nico and Veronica. These new versions provide a hands-free camera. You can capture up to 70 videos or hundreds of photos on a single charge. You can then transfer them wirelessly to use in your Snapchat Stories. These new versions, dubbed Nico and Veronica, provide multiple export formats, plus they're waterproof. The biggest change though is that they finally look like normal sunglasses. Here is what Snapchat Spectacles 3 look like. As a business owner, we think Snapchat Spectacles have a place in your marketing. For example, you can share a customer experience, such as how to find what you're looking for in your brick-and-mortar store. You may even want to use them to document a process or show what it's like using your product. Either way, we love Snapchat Spectacles, especially the two new designs. Prices start at $199.99 for the Nico + Veronica Snapchat Spectacles. You can order your own pair here. The first tool that we have discovered this week is Calendly (web). Calendly is the best automated scheduling software for your business. You can hold a number of types of meetings; one-on-one, round robin, collective, group meetings and more. In addition, Calendly makes it easy to add meeting notifications, buffers to ensure you don't over schedule yourself, daily limits, time zone detection and much more. Here is a look at Calendly for scheduling your business meetings. You can use Calendly for free for up to one event or upgrade to their Premium or Pro versions for $8 and $12 per month. You can sign-up for Calendly below. The second tool that we have for you this week is Haiku Deck (iOS). Do you create a lot of presentations? Most of the time, people use the same boring templates. Not to mention, creating presentations can take a full day of work. Fortunately, Haiku Deck makes it easy for you to unlock your creative side and create presentations on your iPhone, iPad or from the web 10 times faster. They offer two plans, a Pro and a Premium version. The Pro version provides offline viewing, printing, privacy controls, audio narration, YouTube search and embed and much more. If you opt for the Premium version of Haiku Deck, you'll get all of the Pro features, plus in-depth analytics and lead tracking, presentation view notifications and more. Haiku Deck is available as a freemium download. Prices start at $9.99 per month for the Pro version. The Premium version is $29.99 per month. You can try Haiku Deck from the following link.